All April long I post and post and post about why you shouldn’t Light it Up Blue for Autism Acceptance Day. 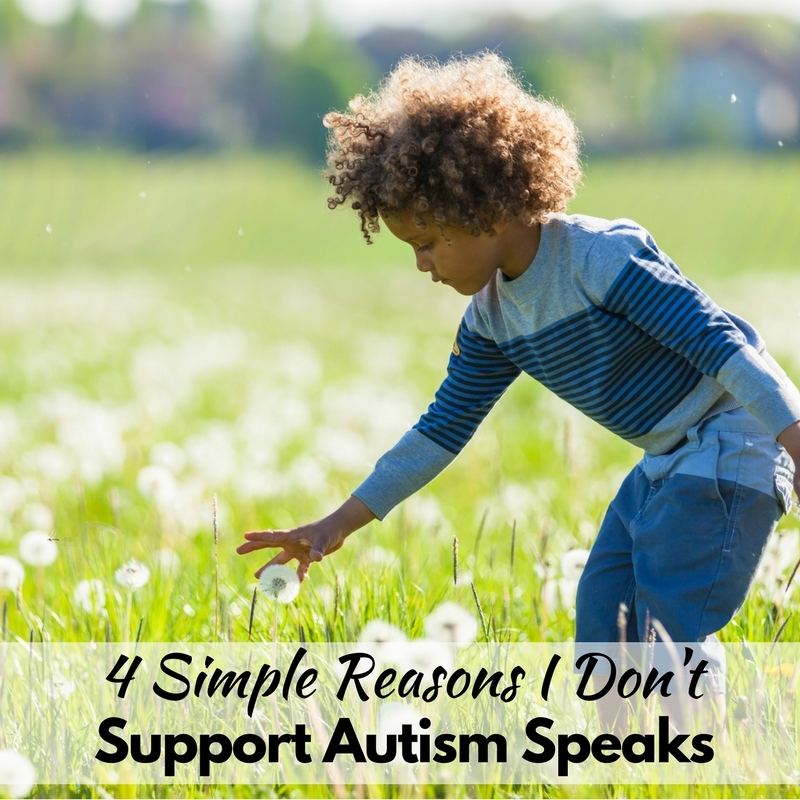 I share about why you shouldn’t support Autism Speaks and how problematic their campaigns are. But I realized today that I didn’t have a solid post to share what you should be doing. 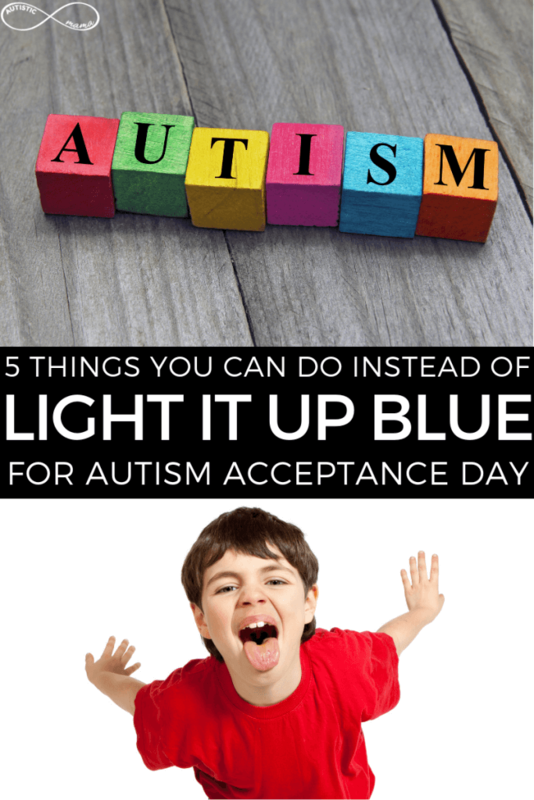 Sure, we now know how problematic it is to light it up blue, but that doesn’t mean we should just ignore Autism Acceptance Month and Autism Acceptance Day. So today I’m sharing 5 things you can do instead of Light it Up Blue for Autism Acceptance Day. 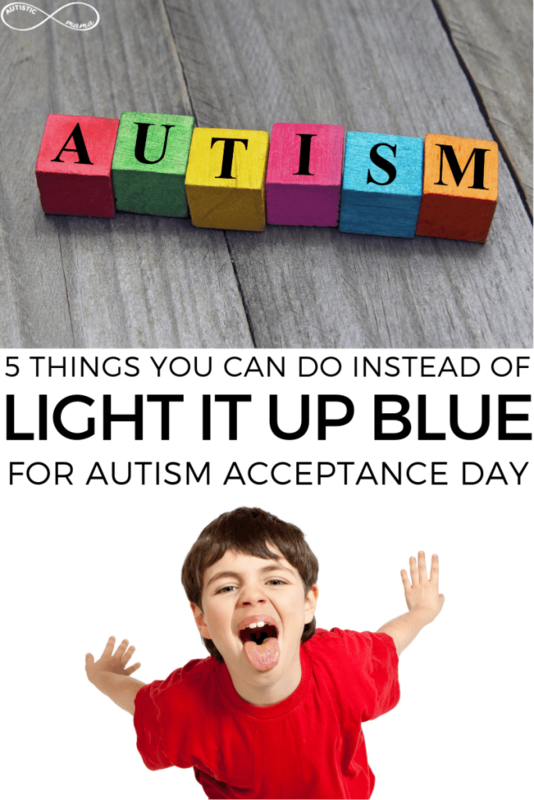 Now before I jump in, I am not suggesting that every non-autistic person should do all of these things for Autism Acceptance Day, but I’m trying to come up with a list so that you can choose what works for you. I’d also highly recommend that you ask any autistic people in your life what they would prefer you do, or what would make them feel supported, accepted, and loved. Every autistic person is different, so they may have ideas not on this list that are great to try! 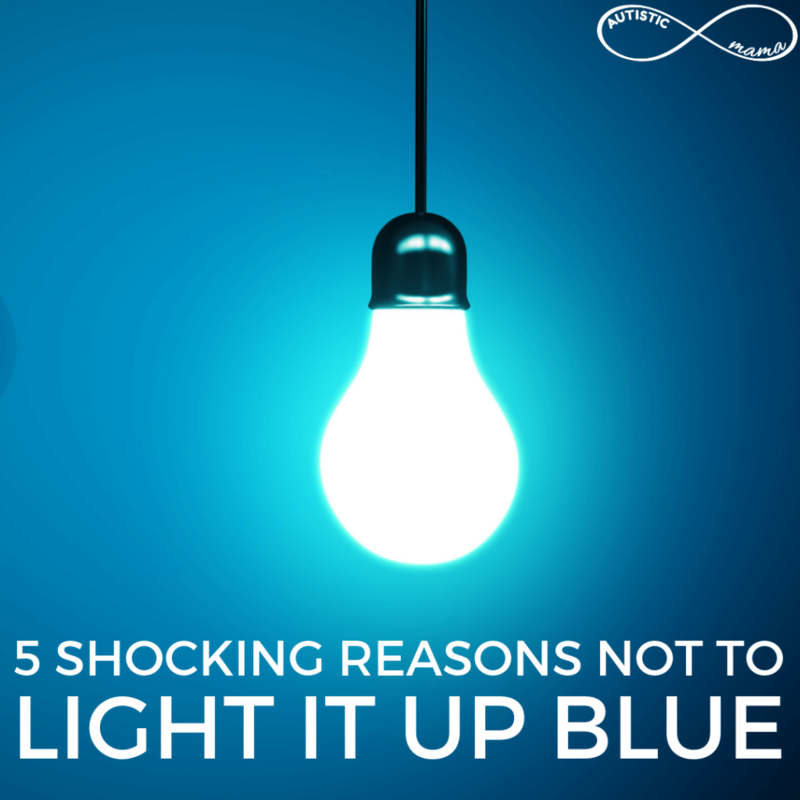 In 2015, some autistic advocates came up with the #RedInstead movement to fight back against Light it Up Blue. The #RedInstead movement fights directly against Autism Speaks by reminding the world there should be nothing about us, without us. To participate, you can wear red, encourage others you know to wear red with you, and post to social media with the #RedInstead hashtag. You can read all about the #RedInstead movement here. Another movement that fights against Light it Up Blue is the Light it Up Gold movement. This movement stems from Âû, which many autistics use to identify themselves as autistics. Au is the chemical symbol for gold, hence, Light it Up Gold. The Light it Up Gold movement is characterized by a golden infinity symbol. You can read more about the Light it Up Gold movement here. During the entire month of April, but especially for Autism Acceptance Day, it is great for you to post about autism acceptance. What’s even better is if you can use your social media presence to amplify the voices of autistics. When you read a post written by an autistic writer, hit the share button. When you watch a video with an autistic person, hit the share button. When you share an autistic person with your friends and family, people who may never hear from autistics get the opportunity to hear us and learn. Let me tell you, every autistic person you know is likely exhausted through the entire month of April. It’s a month where we should be accepted, but so often we spend the month arguing and fighting just to be heard. As an example, I once fought with five different people in one day about my right to exist. Because of this, autistics face serious burnout throughout April, and you can help with that. Every time you speak out, it means an autistic person doesn’t have to. If your child’s school is planning to have kids wear blue, send an email explaining why it’s problematic. If you see someone posting about researching for a cure, comment and tell them why the autistic community doesn’t want a cure. If you see someone share a video of an autistic child melting down, point out how disrespectful that is because the child deserves their privacy. Use your energy to speak out when you can. Okay, you might have read this post and thought… “Kaylene, we’re reading this post so you tell us HOW to help autistics…” but stick with me. This step is one of the most powerful you can take, but it is also one of the hardest. Step out of your comfort zone and do something specific for the autistic people in your life. 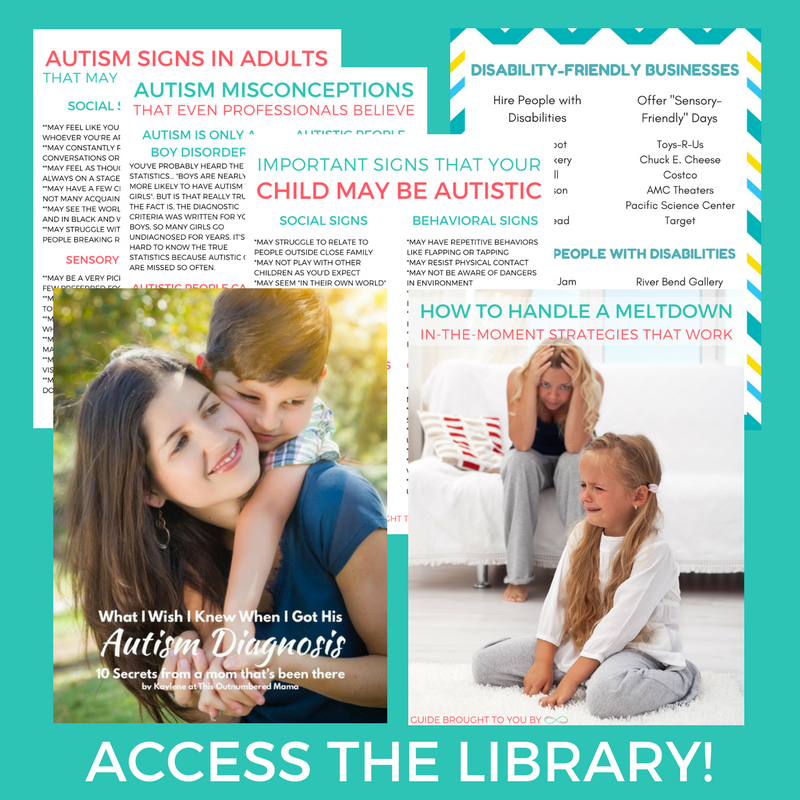 Invite the autistic child in your child’s class over for a sensory-friendly playdate. Text your autistic friend and see if they’re doing okay this month. Donate to the ASAN or AWN. Donate a neurodiversity positive picture book to your child’s classroom. Spend your energy doing something that positively impacts the autistics in your life, trust me, it will be appreciated. So the next time you share a post about why Light it Up Blue is problematic and someone says “well what should I do instead?” you have 5 solid things to do instead of Light it Up Blue for Autism Acceptance Day. So glad I read this, my daughter is autistic and she is brilliant, I would not change her at all.